India’s fast bowler Jasprit Bumrah has been the star of the bowling line-up so far in the ODI series against Sri Lanka. He is by far the leading wicket-taker so far with 11 wickets that included a five-wicket haul in the last game. He was awarded the Man of the Match for his magnificent bowling performance in the 3rd ODI. Bumrah believes that a bowler needs to keep innovating and evolving according to the match situation. He feels if you are a one-dimensional bowler, then it will be very difficult for you to survive for long. “Once a person watches one’s videos and starts to plan for the game, they know what to expect from one’s bowling. So one have to keep evolving according to situation, I think one need to adapt because If you are just a one trick pony then that won’t work for long period of time,” Japrit Bumrah told reporters after the 3rd ODI. “As a bowler one constantly need to learn new thing. That is my main aim all the time. This is my first visit to Sri Lanka, I never played here so it’s always a challenge to play in a different condition,” he added. The 23-year-old also applauded the head coach Ravi Shastri for his support. “He asked me to treat it like a normal Ranjit trophy game, because if one play for India and take extra pressure that won’t help. 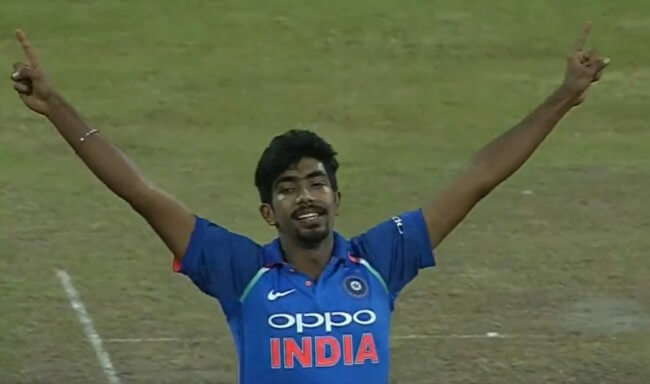 One won’t be able to express oneself so that thing which he said in the first match is till with me and I shall try to carry it forward,” Jasprit Bumrah concluded.